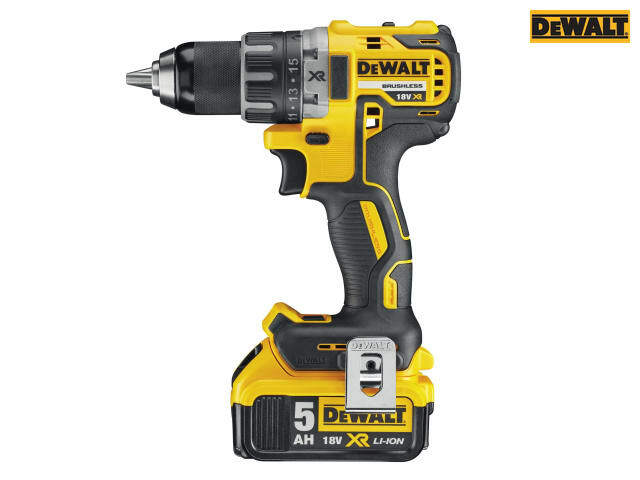 The DEWALT DCD791 Brushless Drill Driver has an ultra compact, lightweight design making it perfect for use in confined spaces. 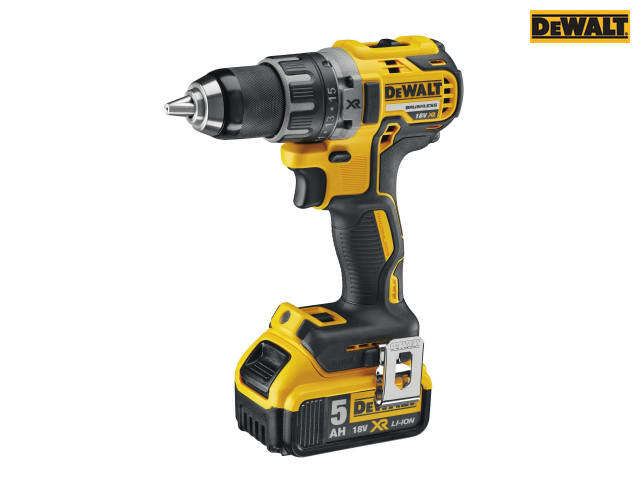 Brushless Motor Technology for excellent efficiency and a two speed all metal transmission for increased runtime and longer tool life. 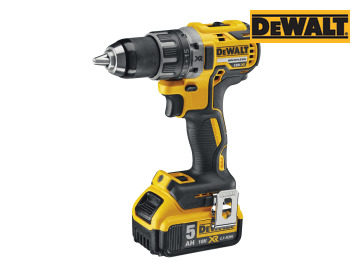 It offers a 15 position, adjustable torque control for consistent screwdriving into a variety of materials. Intelligent trigger design allows for total control of application. It also has an improved ergonomic design with rubber grip over mould, for increased user comfort. DCD791P2: 2 x 18 Volt 5.0Ah Li-Ion Batteries. DCD791D2: 2 x 18 Volt 2.0Ah Li-Ion Batteries. Capacity: Wood: 40mm, Metal: 13mm.